Serious disease in natural forests, plantations and nurseries. There are two strains of the causal fungus in eastern North America, the American strain and the European strain, which is more virulent. 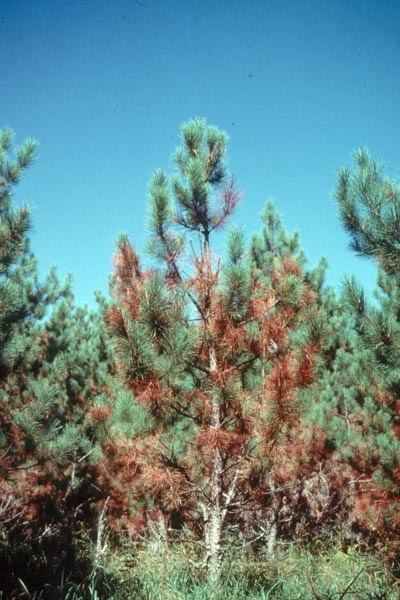 In both cases, infection begins with a browning of the needles, which kills the buds on the affected shoot. The infection spreads along the shoot, which turns greenish yellow and dies. Infections caused by the American strain are generally limited to the first 2 m of the stem, whereas the European strain causes infections that can invade the whole crown. A canker forms when the disease reaches the trunk. 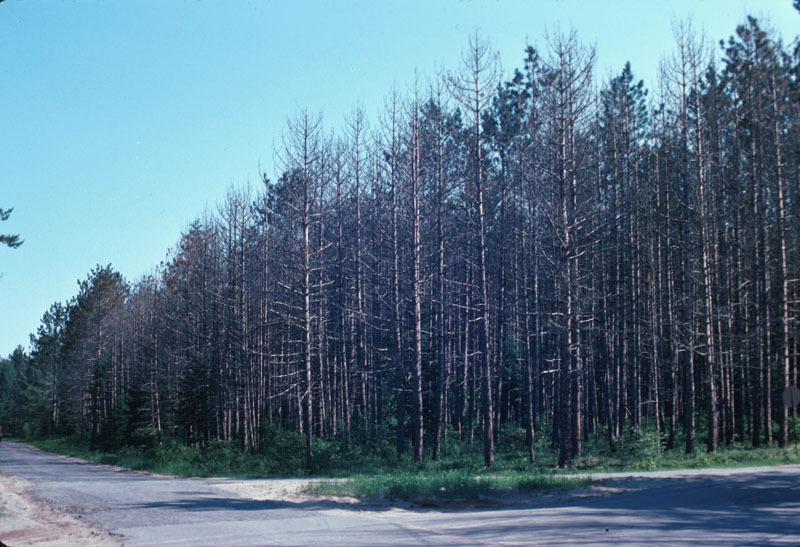 This disease is rarely fatal when caused by the American strain of the fungus; however, under favourable conditions, the European strain can kill affected trees over a few years. 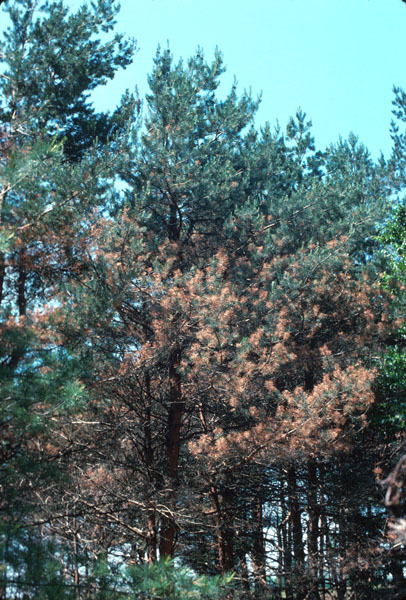 Although large trees affected by the American strain rarely die, they supply spores that allow the disease to spread.